Perfectly located right at the intersection of Pedder, Chater and Des Voeux Roads, our center is close to everything you need. 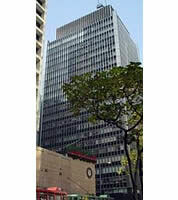 We sit atop the MTR Central Station and are minutes from everything in core Hong Kong. We offer all amenities to help your business succeed. Best of all, our center offers all the features and advantages of our larger centres but has been designed specifically for the 1-4 person client on a stricter budget.